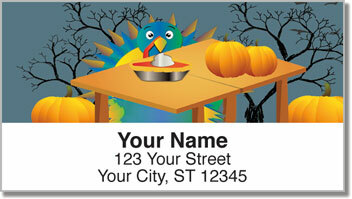 Celebrate the Thanksgiving holiday with fun address labels featuring colorful cartoon turkeys! This fun-filled design will bring smiles to the faces of everyone you mail while serving as an important reminder to be thankful for the many blessings that surround us. There's no reason why we should only stop to give thanks at the end of November each year. 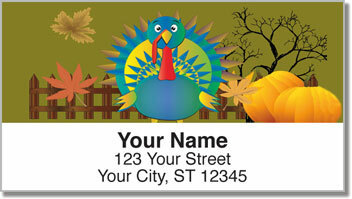 Let Thanksgiving Address Labels from CheckAdvantage keep the spirit of gratefulness and family togetherness in your heart all year long! These convenient labels make preparing your mail simple thanks to a self-adhesive backing. 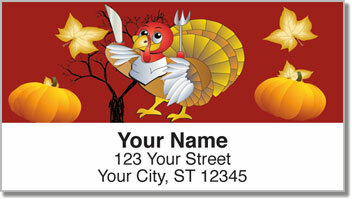 Peel and stick them on anything you want to mark with your name and address. 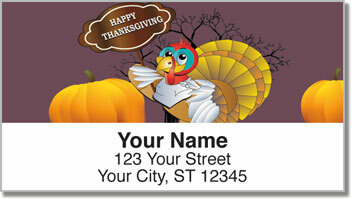 Order your own Thanksgiving Address Labels now! This seasonal selection is also available in matching personal checks.